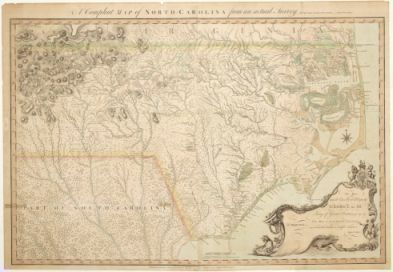 Green's Path was one of the principal routes used during the second and third quarters of the eighteenth century by settlers moving south from Virginia into those sections of the Roanoke, Tar, Neuse, and Cape Fear River basins that lay in the inner coastal plain of North Carolina. The path ran southwest between the Western and Eastern (or Tuscarora) Trading Paths, parallel to both. On Collet's 1770 map of the colony (which is essentially the work of William Churton and reflects information that had been current around 1764), Green's Path is shown as a route leading from Surrey and Brunswick Counties in Virginia into North Carolina, crossing the Roanoke River at Eaton's Ferry (now covered by Lake Gaston in northeastern Warren County). From there the path ran south-southwest into modern western Nash County and then into eastern Johnston County, where it shifted to a southwest course, crossing the Lower Little River at the old Cumberland County Courthouse at Chafferington. The path continued to Cross Creek, where it intersected an east-west path connecting the section of the Western Trading Path on the head of the Rocky River with the Eastern Trading Path near Nahunta. It then merged with a road following a south-southeast direction along the western side of the Cape Fear River to settlements in Bladen County. Edgecombe County court records from the 1730s and 1740s speak of persons using "John Green's Path" to travel from Contentnea Creek to the Tar River and up the Tar to the Western Trading Path. Those records also include testimony reporting the passage of a family that had set off for Green's Path on their departure from Edgecombe County to South Carolina and Georgia. Presumably these references are to the same path. If so, the path assumedly took its name from John Green, whose family accompanied him from Virginia to the Roanoke River settlements around 1715, moving down to the Tar River around 1730 and on to Bladen County around 1740. None of the original route of Green's Path appears to have survived in the state's modern road system, but the road leading south-southeast on the west side of the Cape Fear River from Cross Creek (modern Fayetteville) through Elizabethtown before reaching Wilmington appears to have survived in large part as State Highway 87. 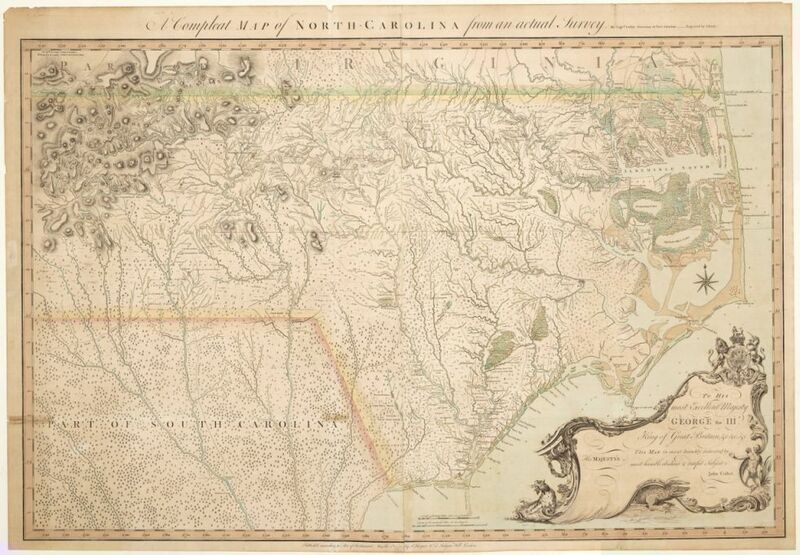 "A Compleat map of North-Carolina from an actual survey," 1770. John Collett. Image courtesy of North Carolina Maps, UNC Libraries. Available from http://dc.lib.unc.edu/cdm/ref/collection/ncmaps/id/467 (accessed September 27, 2012). John Green is my ancestor.....it's said he was Shawnee and white married to a Cherokee woman..Please let me know if you find more info...Thank you for this story.